The Shantae series has been carving its own place in the hall of fame for 2D platformers for some time now. 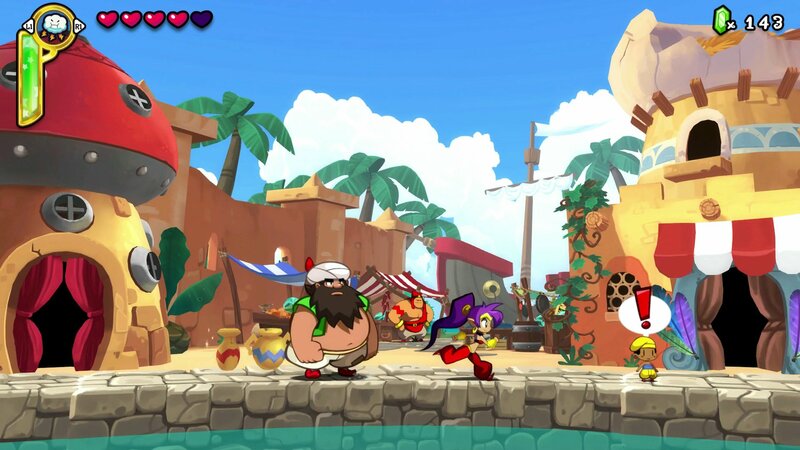 The release of Half-Genie Hero was the first time the game changed up its art style for something more modern and colorful. Now, we have Shantae: Half-Genie Hero Ultimate Edition, which includes all of the DLC and bonus content you could ever want. For those who have yet to experience this polished platformer, will this enhanced edition grant all of your wishes, or is the genie in this bottle an imposter? Let’s find out! The story in Shantae: Half-Genie Hero revolves around our purple-haired heroine and a journey that spans multiple stages and even realms. With the Genie Realm in danger and a pirate attack on Scuttle Town, the game wastes no time in getting you into the action. While the opening of the game is intense and the initial stages are exciting, the story falls into a lull during the middle portion of the game as you search for components to complete a device that Uncle Mimic is working on. Thankfully, the story does pick back up in the final act. As the stakes get higher and higher, the finale and option for two different endings give the game a satisfying conclusion, assuming you get the good ending. Additional DLC included with the Ultimate Edition gives you the chance to play through the stages with different costumes and from different story perspectives. For example, Pirate Queen’s Quest offers an additional story from Risky Boots’ perspective, while Friends to the End offers an additional look at one of the game’s major plot points. Other additions include things like Ninja Mode, which lets you run and slash your way through the stages, and Beach Mode, which forces you to apply sunscreen before you get burned to a crisp. There’s even an Officer Mode that harkens back to WayForward’s Mighty Switch Force series. Unfortunately, none of the DLC features new stages and instead repurposes the same ones found in the main storyline. This wouldn’t be a problem, except for the fact that there’s only a handful of stages to choose from. When you’re playing through the main story, there’s a significant amount of backtracking for both story and collecting purposes. Various fetch quests will send you back to places you been to several times before. The stages are very exciting and engaging during your first playthrough, but going back to them repeatedly, even to perform new tasks, becomes repetitive pretty quickly. The gameplay does help with this problem by offering different formats and transformations to keep things interesting. While your main attack is a hair whip, you do eventually unlock additional magic powers and abilities from your transformations, which range from a monkey to a crab, to a bat, mermaid, mouse, and even a tree. The variety in the gameplay, paired with the tight and responsive controls, and excellent boss fights, help to relieve some of that dreaded repetition from backtracking. The experience is also just challenging enough to be fun, but the addition of healing items keeps it from being brutally difficult. While past entries in the Shantae series have had a retro look, Half-Genie Hero takes a fresh approach with a cartoon aesthetic and some excellent 3D flourishes. The game’s colors and level design really pop on a big HD screen, making this one of the most beautiful platformers I’ve played on the PS4. The soundtrack is also worthy of praise. With catchy beats and melodies, you may indeed find yourself humming it even when you’re not playing. 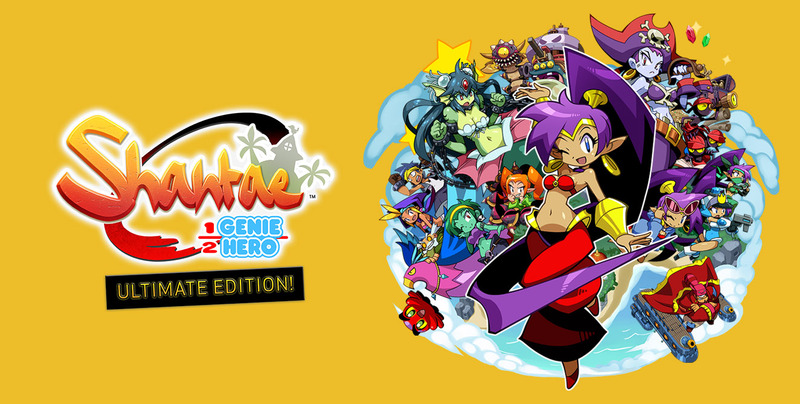 For the amount of content and DLC included here, Shantae: Half-Genie Hero Ultimate Edition is well worth your money. While the experience is limited in terms of stages, and the backtracking can become a nuisance, the core gameplay is something fans of classic platformers will absolutely enjoy.